YOUVE ARRIVED! 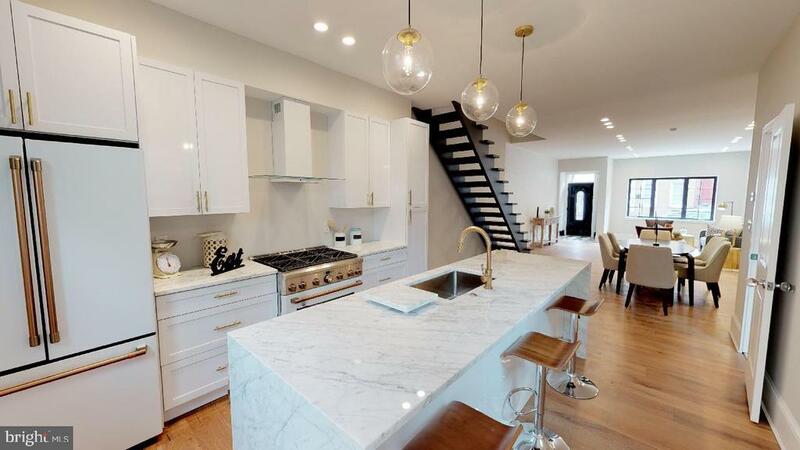 Behold 2203 Christian Street, a true Graduate Hospital brownstone gem. With so much character, you~ll have to see this home for yourself in order to truly appreciate all the magnificent details. Fully Rehabbed in 2019, this marvel has been exclusively built for you! Enter through the large vestibule to be greeted by 9+ ceilings and a sun-drenched open kitchen with Carrara marble counter tops, a chef~s professional oven, convection microwave, and all matching the soft-close Italian cabinetry. Stunning! Continuing into the first floor is a large open concept dining room, ~ bath, and exposed brick leading you upstairs. The second floor awaits you with two generously-sized bedrooms with plenty of closet space, large bay windows radiating natural light, exposed brick, and a giant bathroom meant for two people. You will also find a large laundry room that will handle even the largest family duties on this floor. Rounding off this beauty on the third floor is the master suite. The master bedroom boats an in-suite bathroom featuring a soak-in tub and spa-like shower to compliment the basking views of the Center City Skyline. Unique tile floors and custom marble tops matching the entire house. Finished off with your own private deck. Following the staircase up to the roof deck you~ll enjoy unobstructed views of the Philadelphia Skyline. Making your way back down to the lower level you~ll find a fully finished basement with a full bathroom, making this space perfect for extra company, a larger living room or play room, and the list goes on. This amazing property is located on a tree-lined street nestled between Graduate Hospital & Rittenhouse Square Just a few blocks from Schuykill River Park and Trail. Easy walk to University City and 30th Street Station. Nearby and close access to SEPTA, a commuter~s dream come true. Additionally, premium grocery stores, elite shopping boutiques, and world-class dining are a quick walk away. City life doesnt get any better than this. Go ahead and treat yourself to this rare find before it is gone!